Time Required: 1 – 3 hours, depending how fancy you want to get. – sewing machine (or just thread and needle if you’re extremely ambitious). 1. 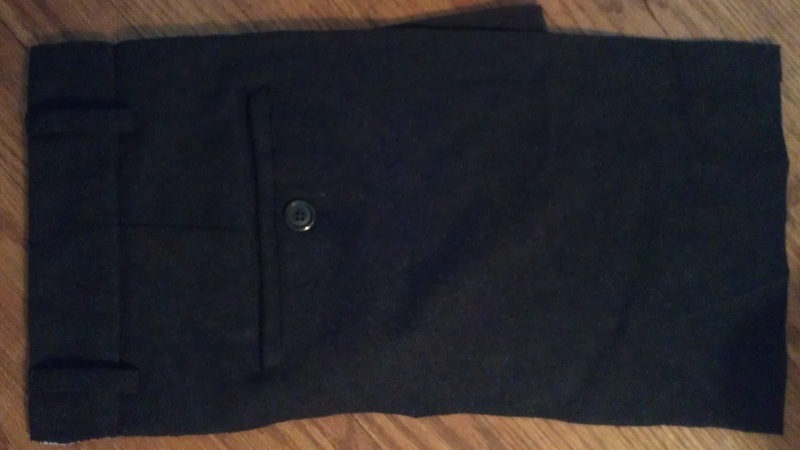 If you’re using a pair of pants, like me, rip out the back seam and side seam, and then cut out your material (leaving the top, with belt loops, etc. intact). Make sure that, when you fold it, it can hold your phone with a couple of inches to spare. 2. Pin zipper so that the front of it is against the outside of your material. Sew onto material. Fold material so that it comes to the other side of the zipper, pinning it the same way, to the outside of that piece of material. 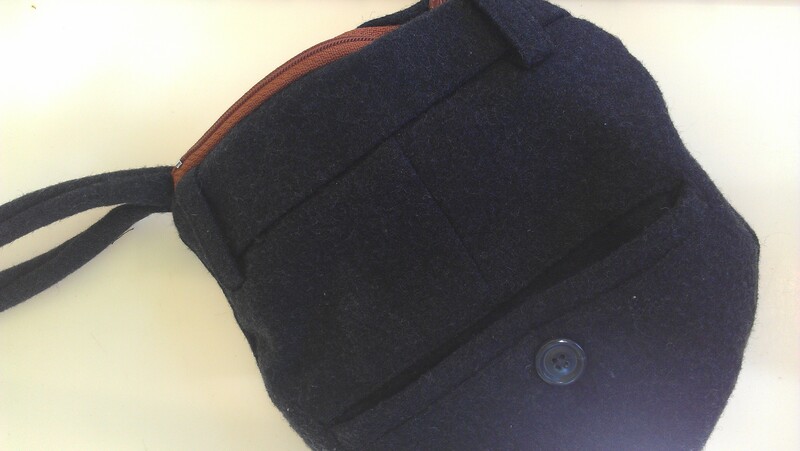 Sew this other side of the zipper so that the zipper is installed along the top of the purse (above the belt loops). 3. 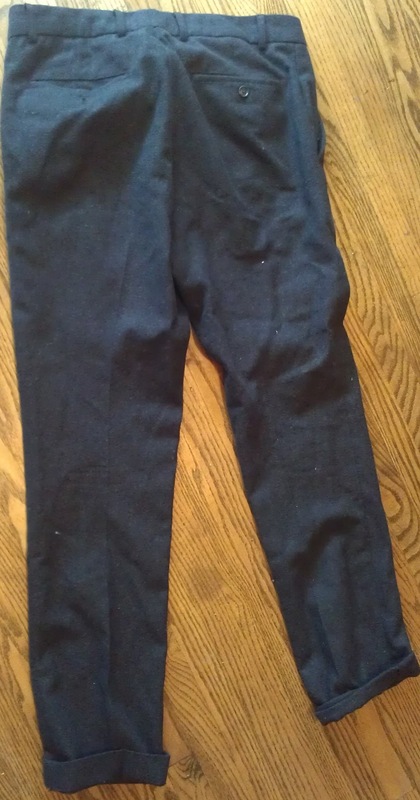 Cut a strip of material (about 3 inches wide) from the pants, long enough that, when you loop it around, your hand can easily slip through the hole + a couple of inches. Double the material sideways, pin it, and sew along the long side and one end. 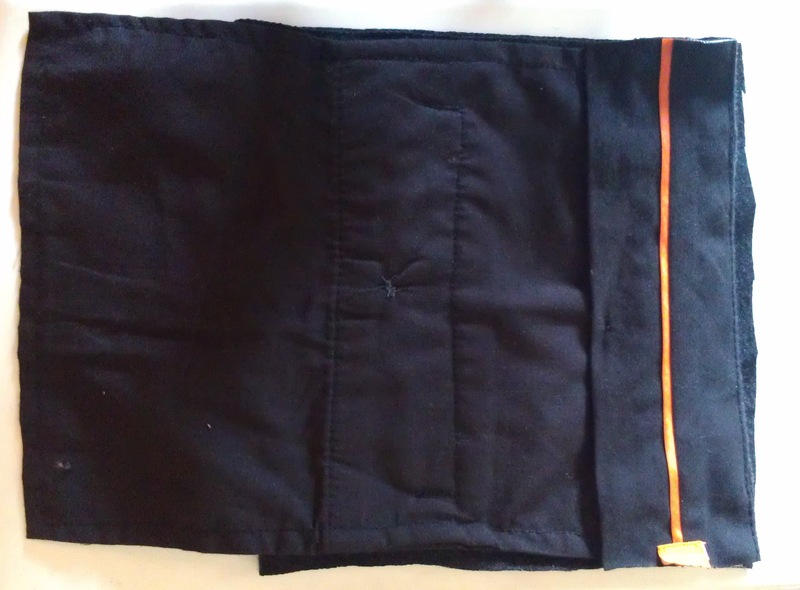 Take a chopstick (or pencil, or something long and thin), push in the sewn end, shoving it all the way through to turn the strip right-side-out (so the sewn seam is now on the inside). 4. I forgot this step, so had to rip the seams out after I had sewn around the entire purse. It was a pain. DON’T FORGET THIS STEP. Put both ends of your sewn strip (the purse handle) beside the zipper pull and pin in place. 5. 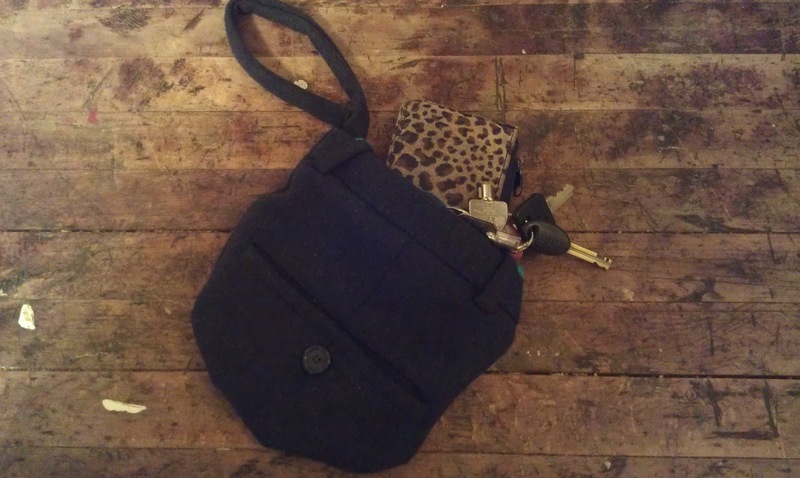 UNZIP your zipper and pin the rest of the top and down the sides of your bag. Sew. Make sure you’ve unzipped your zipper first, or you’ll have a VERY difficult time turning your purse right side out. I rounded the bottom edges a bit, just using chalk to guide me. 6. I thought my zipper stuck up a bit and was too prominent, so I folded the zipper inwards a bit and hand-sewed some embroidery thread at either end. 7. Time to rock and or roll.